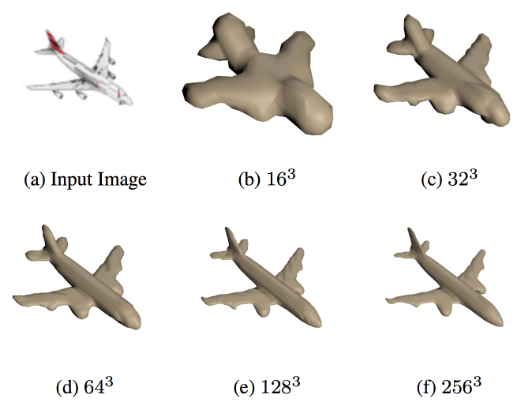 The evaluation metric for 3D reconstruction is a topic worth further investigation. Under two standard evaluation metrics (Chamfer distance and IoU), we observe that two different approaches have won the first place. In particular, the coarse-to-fine supervised learning method wins by the IoU metric, while the GAN based method wins by the Chamfer distance metric. I like the hierarchical approach because it seems like it would be efficient. They use an octree data structure to allow them to only refine where they have a boundary label in a voxel. This reminds me a lot of Cartesian mesh refinement that some folks use in CFD for adaptive meshing.